After his 2-1 reversal of his conviction for money laundering, Tom DeLay is back raising money for a new campaign: the Josiah Project which seeks to reintroduce faith and morality into politics. 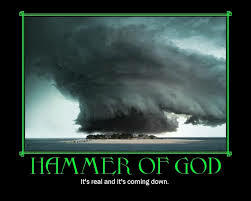 In one interview with Matthew Hagee, the son of controversial paster John Hagee, DeLay lamented the lack of morality in Washington and “the Hammer” added a celestial framer to the usual list of Madison, Mason, and others. He then added that the “God created this nation [and] that He wrote the Constitution, that it’s based on biblical principles.” I assume that he is not referring to such wonky elements as the Separation of Power, federalism, and other elements as divinely written. The Committee on Detail struggled with language on such issues in a particularly mundane way. Indeed, James Madison was focused more on the factional divisions and weaknesses of Man than the image of God in crafting the components of the federal system. I also presume that the Articles of Confederation must have not been written by God since it was such a failure. Some may find DeLay an unlikely messenger for such a message given the view by many that he played politics on the very edge of legality. DeLay was convicted of money laundering and conspiracy charges in an illegal campaign finance scheme tied to the 2002 elections. His supporters insisted that the case was political and a vendetta by Ronnie Earle, the Democratic District Attorney of Travis County. However, a grand jury indicted DeLay and he was convicted after Senior District Judge Pat Priest of San Antonio found that he could stand trial on money laundering and conspiracy. In November 2010, he was convicted on both counts and sentenced to three years in prison. DeLay appealed his conviction to the Texas Court of Appeals for the Third District at Austin, which overturned the conviction in a 2-1 decision with Justice Melissa Goodwin writing that “Rather than supporting an agreement to violate the election code, the evidence shows that the defendants were attempting to comply with the Election Code limitations on corporate contributions.” The Texas Court of Criminal Appeals is now reviewing the 3rd Court of Appeals’ decision. 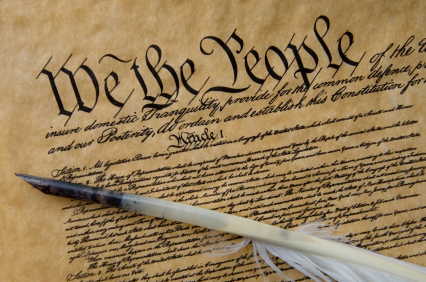 DeLay’s Big Bang Theory of Constitution law is difficult to square with the Constitutional Convention record showing other sources for the components of the Constitution and rivaling theories as to the ideal balancing of the branches. He could be referring more generally to some elements like property rights and individual freedoms. For example, the takings clause and property rights have often been linked to Locke who saw a divinely ordained basis for claiming property from what was once left in common by God. His “labor theory” for private property is a touchstone of Neo-Conservative legal theory in the United States. The project appears to be an offshoot of the National Prayer Center and is named for King Josiah of Israel. Josiah became king of Judah at the age of eight and is credited with rebuilding the temple. It was during this renovation that the High Priest Hilkiah discovered the Book of the Law or “the book of the law of Yahweh by the hand of Moses.” The Hammer appears on the same mission to tell politicians it is Yahweh or the highway when it comes to faith-based politics. Well, at least, he did not claim to discover the internet. I ran across something very interesting yesterday. It’s called the Delphic Maxims. I wonder if the founders used any f these as guidance. Furthermore, the notion that all natural law theory is informed by Christian revelation is false. Current natural law theorists are essentially neo-Thomists. But natural law theory predates Christianity. And philosophers such as Locke did not argue that natural law is divinely imposed. To the contrary, Locke believed that natural law can be discerned by reason alone. The concept of “unalienable rights” does not require belief in a Supreme Being. The current efforts to impose specific religious beliefs on society through legislative adoption have historical precedents. The history of this country includes cycles of religious enthusiasm, always accompanied by arguments that the nation must “return” to God, but God as defined by those sects dominating a particular cycle. The present push is dominated by neo-Calvinists who control the evangelical branch of protestant Christianity and who have redefined Republican ideology. That movement is largely southern-based, and intensified for historical and cultural reasons following the election of Barack Obama. It will gradually subside, but not without a fight. Tom Delay is part of an ignorant army. You are creating a strawman argument here. I don’t know anybody trying to make the point that there was “intention” to found a Christian nation. The idea is that being predominantly a Christian society shaped by Christian ideas, Christianity certainly had a major impact in the founding of this nation, including the ideas expressed in the U.S. Constitution. Again, another strawman. Who says that religious “doctrine” should play a role in government? Indeed, our government was created so that religious doctrine would stay out of government. But this does not mean that the administrators of government cannot be religious, neither does it mean that government ought not encourage religion or see itself as working toward similar goals. Yet another straw man argument. You are on a roll here. 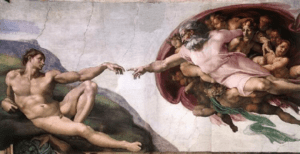 Nobody has put forward that “all” natural law theory is informed by Christian revelation. The legal theorists and philosophers of their day, most notably William Blackstone and John Locke, certainly did derive their understanding in accordance with both reason and divine revelation. The very basis of Locke’s argument of equality begins with talking about Adam in the garden of Eden. The point was simply that Judeo-Christian philosophy influenced the development of the concepts of equality and fundamental rights. There is no doubt that John Locke believed that the Creator made the natural laws that govern nature, that he imposed them upon us. His perspective of our moral obligation to obey law is directly based upon this concept. Nobody can read John Locke and not come to this understanding. Indeed, natural law can be discerned by reason alone. Ironically, even the so-called divine revelation itself, the Bible, teaches that concept. And, yes, such reason can be used to understand unalienable rights. But Locke strongly tied the concept of justice and law to the Supreme Lawgiver. He profusely referred to Scripture to make his arguments. When Locke wrote his essay on religious toleration, he argued strongly that the one category of persons who should not be tolerated in civil society are atheists. I see no such efforts to impose specific religious beliefs upon society. These are imagined fears of secularists who have for a long time now attempted to change our society into a secular society and to transform our government into a secular government. What is necessary at this time is that government officially acknowledge God and allow for the acknowledgement of God by all government workers. There are many ways in which government has acknowledged God and continues to acknowledge God, but there also continues this push by secularists to get rid of this by their twisted understanding that the First Amendment is meant to secure freedom from religion. Its odd that Britain, who took Christianity from the Pope and created the Church of England under the reigning king or queen, keeps religion out of politics today, while America takes the seperation of church and state less seriously and tries to reintroduce religion into politics! Thats a good Bill Mayer clip; he’s a sane voice on religion and politics; just don’t pay any attention to his wacky ideas on guns, Obama and 9/11. traveling limey – the Queen has NO political power, her power is ceremonial and advisory. However, technically, I think she is still head of the Church of England. If Obama were head of the Church of the United States, his powers would be more than ceremonial. In fact, Obama could not have been elected because he was not a member of the Church of the United States. 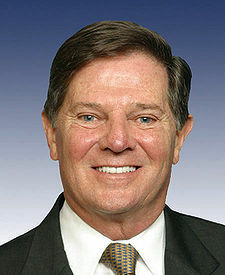 Tom Delay sounds like he is promoting the Bible as the new Constitution. Whilst it is heart-warming to know that the “Texas Court of Criminal Appeals is now reviewing the 3rd Court of Appeals’ decision”, it is still Texas. Were it almost any other State, Mr. DeLay could be quietly contemplating another day of his term in prison. If God wrote the Constitution then God believed in slavery. Only in Texas would someone make this claim. All my ex es live in Texas so I sort of understand the mindset. Al – since you are working at cleaning those motel rooms, grab one of the Gideon Bibles and read the Old Testament. The God of the Old Testament believed in slavery. The Old Testament was used to defend the institution of slavery in the US. Delay just needs a job. That’s all. He’s tapping the usual well of fear to gain donations for the “project,” which will give him a job and a platform. True believers are very dangerous as they will resort to any means to achieve their ends. Texas is no duopoly. It is solid Republican. Delay’s conviction was overturned by two Republicans on a panel of three. The dissent was by a Democrat. He is the ONLY Democrat in the full panel of six judges. Tom DeLay reinvented the mug shot … The man is a trend setter. Give him his due. Before the hammer broke on a nail in the coffin of freedom, he was trending toward rank fascism and taking as many loonies with him as he could. Don’t quit your day job, Al. Tom DeLay played Monopoly when in jail. He played Duopoly when in DC. Now he is preaching Foolopoly. Thankfully, the appetite for this easily demonstrable pack of lies is diminishing by the hour.The Tom deLays of the world are not being replaced in near sufficient numbers.